FIVB President Dr. Ary S. Graça F° was on site in Omaha during the World Grand Prix and was impressed with the running of the event in Omaha. President Graça singled out the cooperation between the Omaha Sports Commission and USA Volleyball for their efforts in hosting a memorable event - one of four FIVB events on US soil in 2015 (others being beach volleyball's St Petersburg Grand Slam, Long Beach Grand Slam and the Fort Lauderdale Swatch FIVB World Tour Finals), that started July 22 and concluded Sunday. 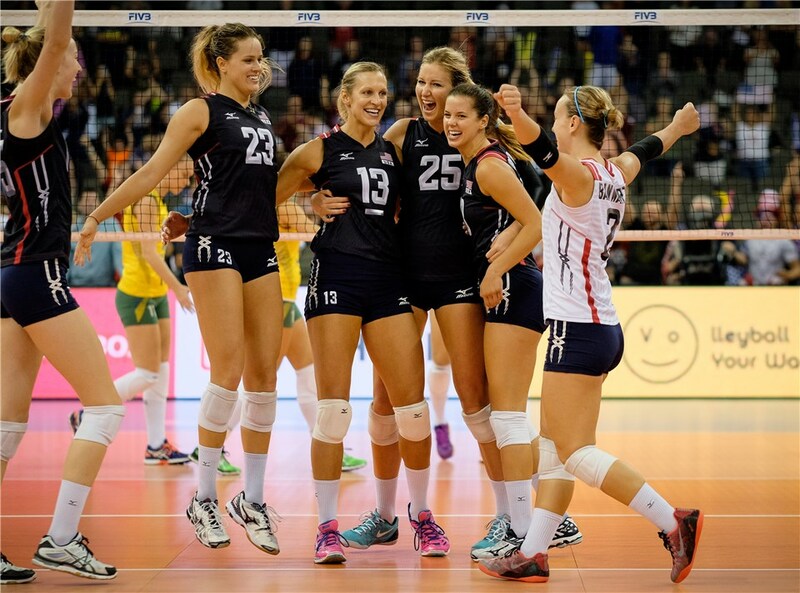 USA clinched the World Grand Prix title on Saturday with one day to spare following a 3-0 victory over Brazil. 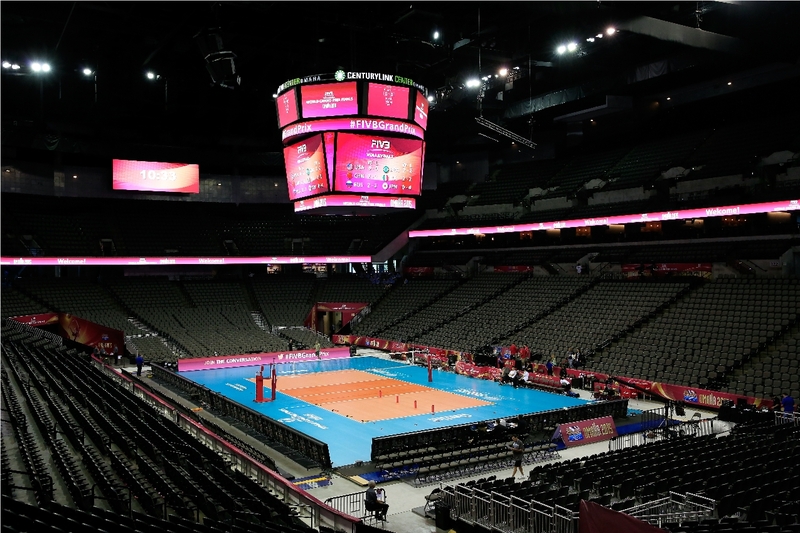 Part of the mutual interests the FIVB and USA Volleyball share is having NBC as a major player in growing the sport. Last week Graça was a special guest of AVP Pro Beach Volleyball Tour’s New York City open and had the opportunity to meet top NBC executives. 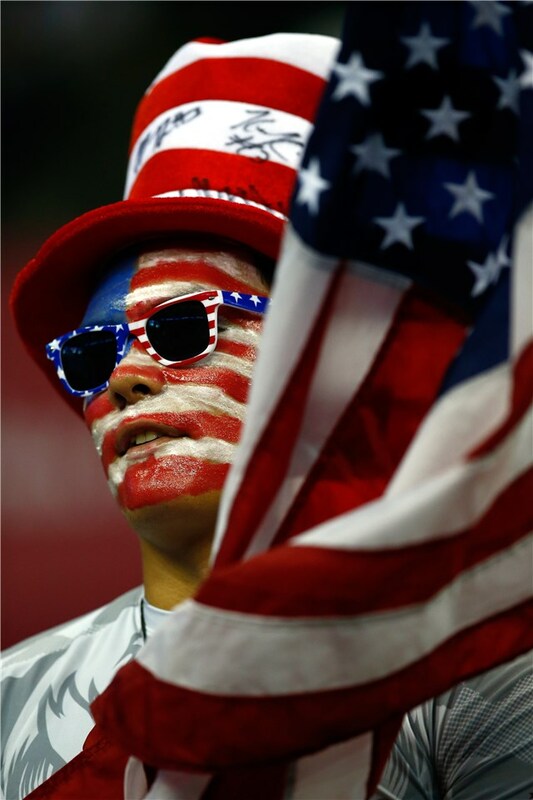 USA has hosted other volleyball events, but the magnitude of hosting the premier annual international women’s volleyball tournament is a first for the Americans other than having the Olympic Games in 1984 and 1996. USA Volleyball Chief Executive Officer Doug Beal is pleased the FIVB has shown confidence in the USA Volleyball staff to handle running such a prominent event. And according to Beal, location has played a major factor in the success of the tournament. Hosting the event did not materialize overnight. It took years to have everything come together. “It was a process that involved a couple years of discussion with the Omaha Sports Commission and USA Volleyball about bringing events to Omaha,” Omaha Sports Commission President Harold Cliff said. 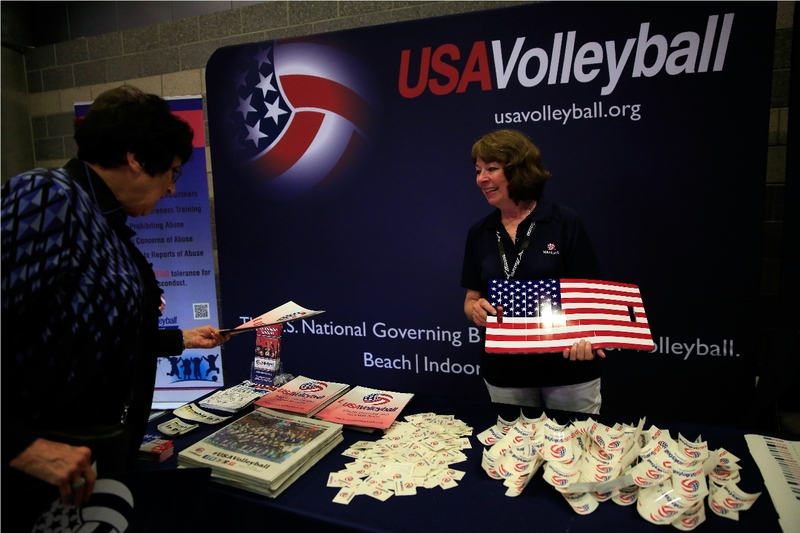 Omaha Sports Commission and USA Volleyball partnered to host the 2013 NORCECA Women’s Continental Championship, which laid the ground work from a staging perspective on hosting such a major international event. After the NORCECA event, Cliff and USA Volleyball CEO Doug Beal traveled to Lausanne, Switzerland, to present the idea of hosting a World Grand Prix Finals in Omaha. After some planning, the event was awarded to Omaha in early 2014. “It is a major priority for USA Volleyball to collaborate with FIVB on major world events such as this week's FIVB World Grand Prix Finals, and the FIVB St. Pete Grand Slam Olympic Qualifying beach volleyball event held in June,” said Lori Okimura, chair of USA Volleyball’s Board of Directors as she watched the matches in Omaha. “We have an experienced team behind the team, a tremendous partnership with broadcast partners like NBC Sports, and great support from our city partners like the Omaha Sports Commission and our local regions of USA Volleyball who are eager to support these great events. Our goal is to continue seeking opportunities to bring the excitement of international elite level beach, indoor & sitting volleyball here to American soil where we can support Team USA." Beal looks forward to additional collaborative efforts on bringing FIVB’s top events to the United States. "Together with the FIVB, we can grow and promote the sport in the USA, which will have a positive and dramatic impact all over the world,” Beal said. “We very much believe in the FIVB strategy to target volleyball in the USA because it is such an enormous market and the dividends will be significant for the entire volleyball community. 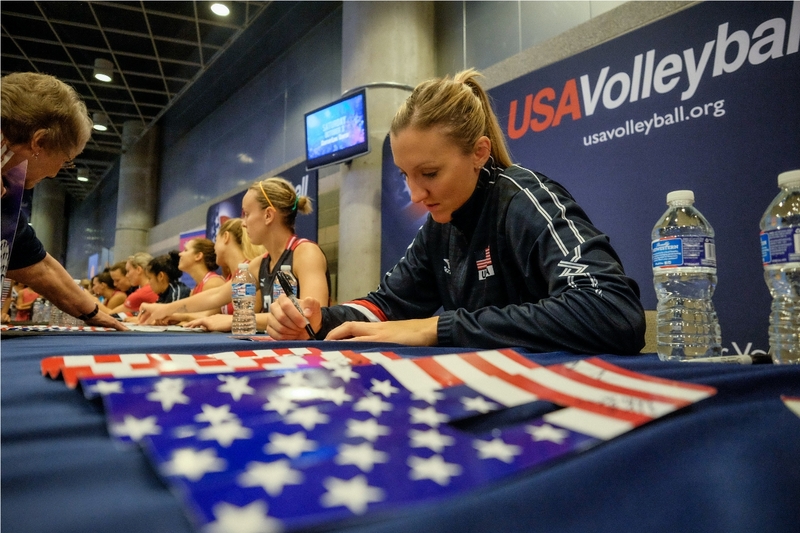 “We are optimistic that the FIVB and USA Volleyball will continue to partner to look for other opportunities to grow the sport together in the US in the near future in both beach and indoor volleyball,” Beal said. While the event has been a success, it has not come without a lot hard work along the way in showcasing the sport in the best way under such an international spotlight. In addition to not previously hosting the World Grand Prix, the United States has never hosted top-tier FIVB-level indoor volleyball events. With Omaha being put on the international map with the matches being broadcast around the world, the local promotion is hard to beat. Along with the city and tournament itself, the CenturyLink Center where the matches are being played has been given rave reviews. The venue itself is a combination of a 17,000-seat arena and a 200,000-square-foot convention center with high ceilings. That has allowed bringing in both practice courts under the same roof as the competition court, all within a one minute walk of each other. It has also allowed the event to bring in a high school volleyball tournament to be run concurrently with the World Grand Prix Finals and have a great exposure. The building has also allowed for providing each team with their own dressing room and video rooms for the duration of the event, as well as rooms for the medical staff, officials and control committee. And transportation to and from the airport has been minimal in travel time as well. The airport is only a five minute drive. 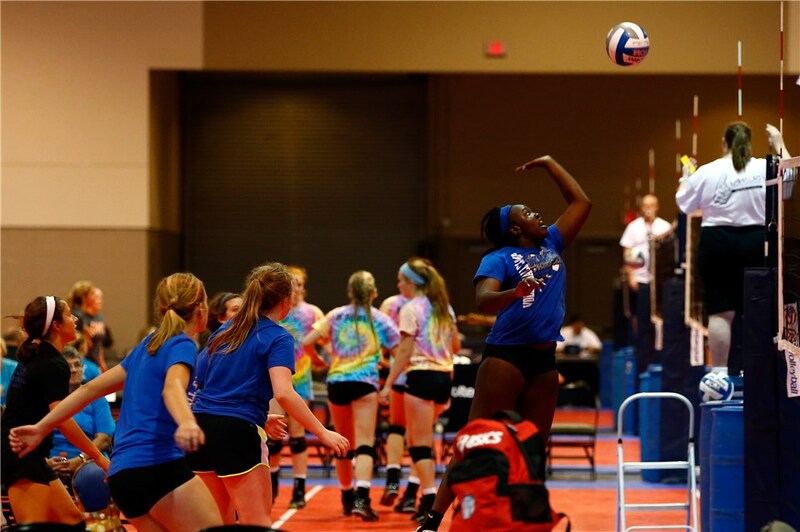 In addition to the FIVB World Grand Prix Finals, the CenturyLink Center hosted an 82-team high school volleyball camp and tournament under the same roof as the international tournament went on. The youth athletes were able to watch high-caliber international athletes when they were not competing themselves. USA Volleyball also hosted a Coaching Accreditation Program (CAP) Level I course for nine coaches seeking to improve their skills in coaching. The event was held at nearby Central High School in Omaha. One of the nine coaches in the program also served as a line judge during the World Grand Prix Finals.